If you need a semi truck, then you generally have two options. You can take out a loan for the rig, or you can get a commercial truck lease. 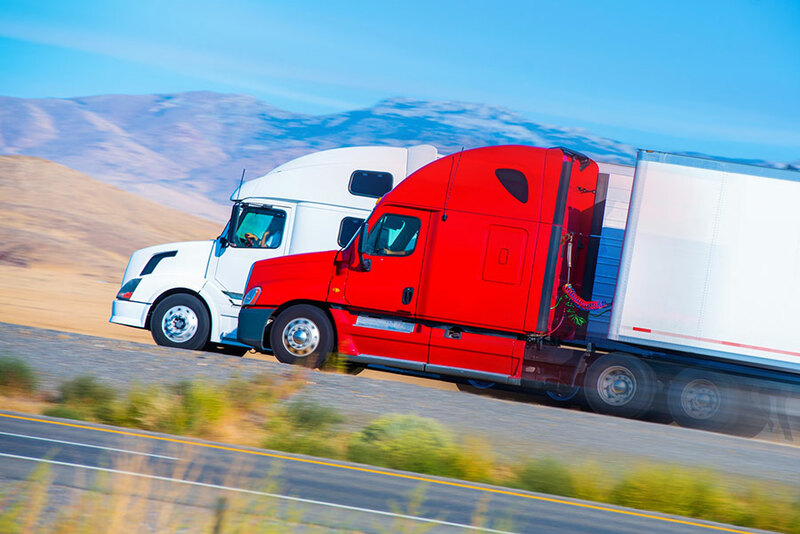 While both will require you to pay monthly payments and both allow you to get on the road, there are some key differences between a loan and a commercial truck lease. It is important to understand these differences before you make your final decision. Having a commercial truck lease is similar to renting an apartment. You have the right to use the truck as you see fit, within certain rules, for the period that your commercial truck lease lasts. Like renting an apartment, the person leasing you the truck is responsible for most of the repairs and maintenance, unless the damage was caused by your neglect and misuse. With a commercial truck lease, you will make monthly payments, same as you would if you were paying rent. In most cases the terms of a commercial truck lease is between three and five years. The leasing company buys the semi truck, and then allows you, the driver, to use the vehicle. In some cases, once the commercial truck lease is up you will have the option to purchase the truck instead of returning it. The purchase price of the truck will be for its residual value, which is determined in the original paperwork of the commercial truck lease. The idea is that the purchase price of the truck would be less than buying it outright, much like having a rent to own contract on a home. Like a commercial truck lease, a commercial truck loan will require you to make a monthly payment for a set period of time. The main difference, however, is that you are making payments towards the actual value of the truck. Once the term of the loan has been completed, assuming that the trucker has made all of the proper payments, he or she will own the truck. If you are trying to decide whether a commercial truck loan is right for you, there are some things to consider. A commercial truck lease does have some benefits. The monthly payments are lower than a loan, since you are not paying for the cost of the vehicle. A commercial truck lease generally will not require a down payment. Plus, a commercial truck lease allows you to avoid debt and gives you the option to upgrade to a better vehicle once the term of the lease is up. However, there are some downsides to a commercial truck loan that must also be considered. If you decide to purchase your truck at the end of the lease then, you will often end up paying more overall than if you had just gotten a loan. You may be required to take out extra insurance with a commercial truck loan. You are also not making an investment, but instead using someone else’s equipment, so you cannot make modifications to the truck. On the flipside, a commercial truck loan usually has higher monthly payments, and it can be hard to resell a semi truck if you want to upgrade it in the future. I’m glad you elaborated on how a commercial truck rental is like renting an apartment. I have been considering getting a vehicle lease, but I didn’t fully understand it. It makes more sense compared to an apartment, with monthly payments and all. Thanks for the information.